Saturday.. after sending my girlfriend to work.. i'm nothing to do around there. 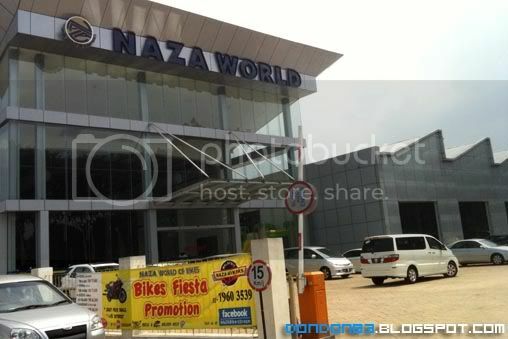 and instead, i head to NAZA WORLD to pay a visit. 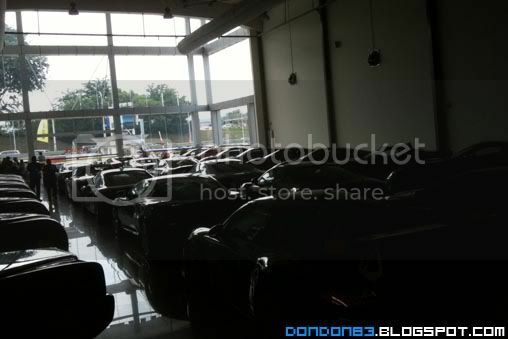 any super car you expect to spot in this showroom? 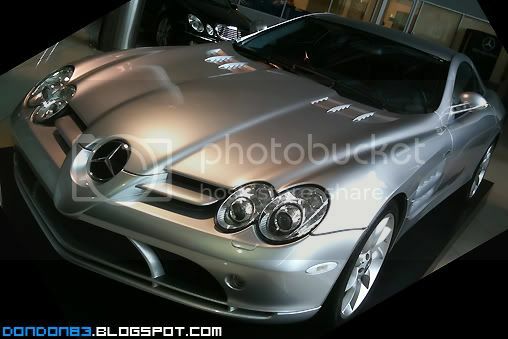 let see..
oh.. the Mercedes McLaren SLR still on display in the showroom. 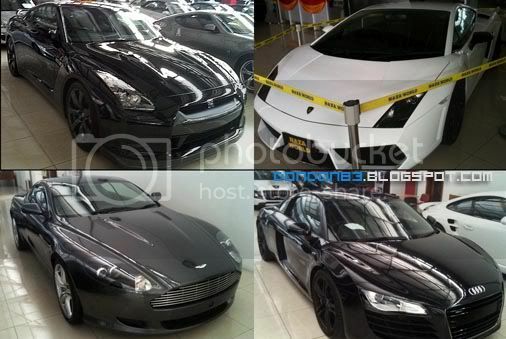 i remember it was Black during my first visit to Naza in 2006. guess someone bought the RM 7 million beast home. wait.. that's 2006 price.. i wonder how much they selling it now? 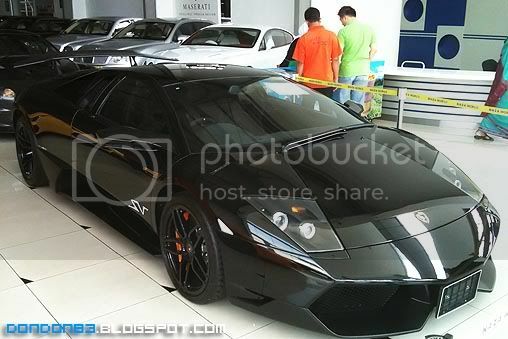 Black Lamborghini Murcielago LP670-4 LP 670-4 SuperVeloce. only 350 unit limited around the world. 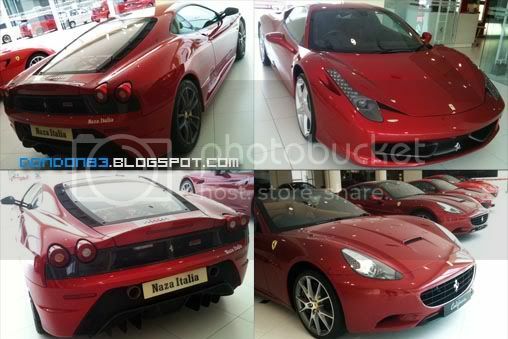 and one of it exist in Naza World showroom. a rare species.. still no sign of the Lamborghini Reventon or Aventador around..
and more sport car spotted like Skyline R35, Gallardo, Aston Martin DB9, even the Audi R8. let move to next door showroom. 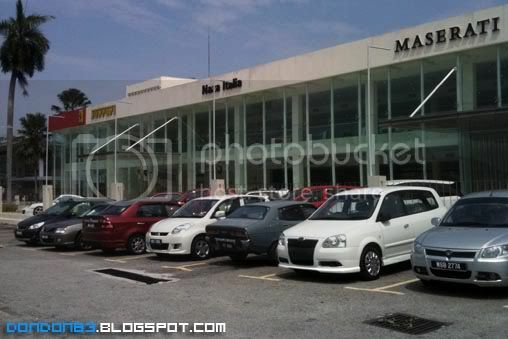 another independent showroom? Naza Italia. and i see this Sharp Red with a Dark Horse Logo on it. i guess u know what car under the covers. 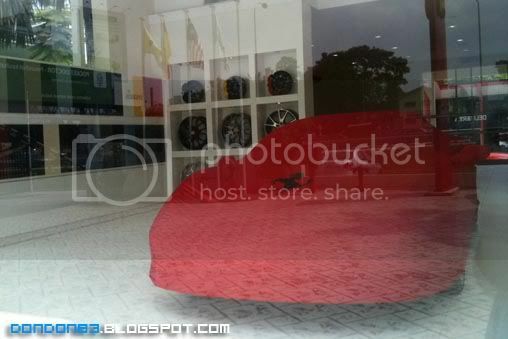 here's the inside of the showroom, very tidy, clean, of course la, Ferrari showroom wor. 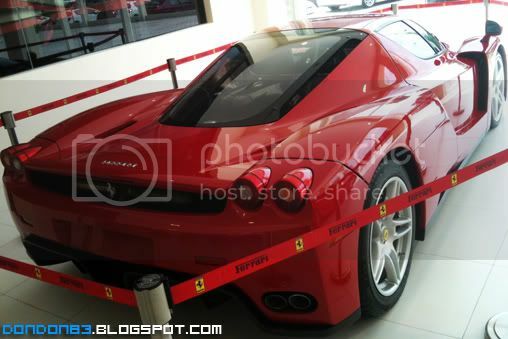 just Ferrari can be seen in ground floor. 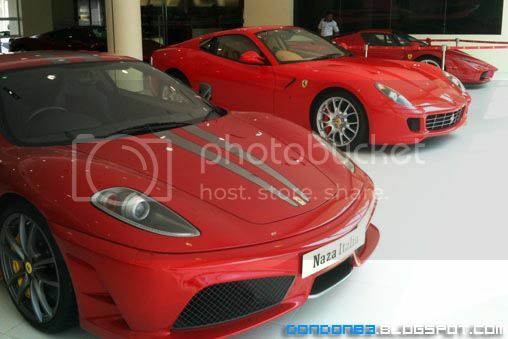 F430 Scuderia, 599GTB, and.. what 's that on the far end? 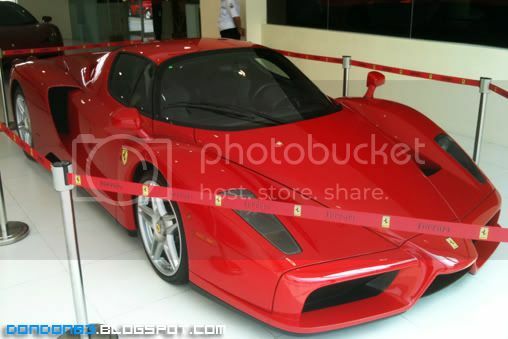 wow.. is the Limited Edition Ferrari Enzo. only 400 were build and only invited existing ferrari owner. who owned Ferrari F40 and Ferrari F50. another photo of the Ferrari Enzo rear. just simply amazing car. on the ground floor, is all about Ferrari. F430, oh that's the new Ferrari 458. all red. 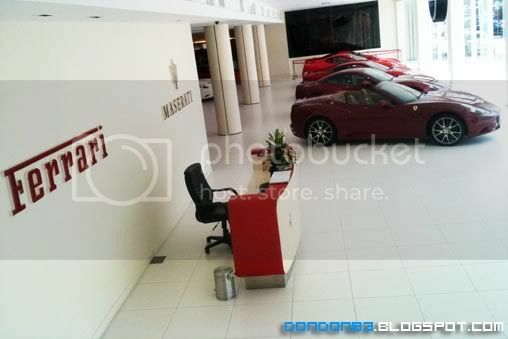 go up to second floor, is the place for Ferrari sister company. Maserati. 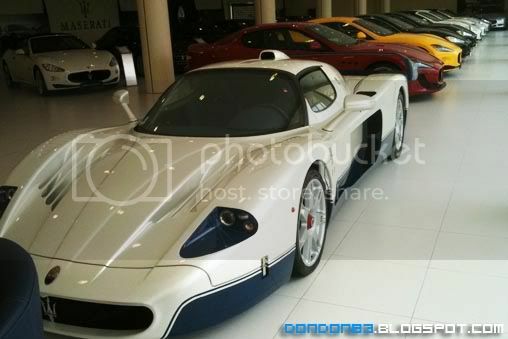 and here is the Maserati MC12, same chassis with the Ferrari Enzo, it's still here. 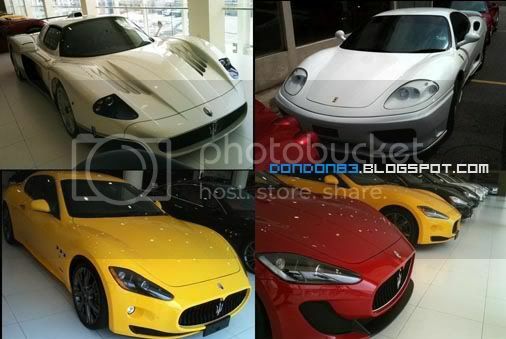 and there is lot's of different version of Maserati GranTurismo. while walking outside, saw a White House waiting for scheduled services. the Ferrari F360 look great in white. Transformer 3 in GSC Signature GoldClass 3D.